If you’re looking for the best fitness and activity trackers for seniors or elderly people, we’ve got you covered. Fitness tracking devices such as wristbands and smartwatches are becoming more and more popular because they’ve been severally proven to be effective in helping people to stay motivated to achieve their health goals. A study by Lisa Cadmus-Bertram of the Department of Kinesiology, University of Wisconsin revealed that fitness trackers encourage high levels of self-motivation to achieve fitness goals. For elderly people, the need to stay fit is as important as it is for the younger population. Unfortunately, this section of the population is usually left out whenever matters related to fitness are raised. It’s therefore no surprise that most fitness trackers were not made with seniors in mind. Yet, they also need these devices to monitor their activity/fitness levels and heart rates, predict possible changes in their health, and boost their physical activity when necessary. But thankfully, all hope isn’t lost for seniors, as there are a few fitness and activity tracking devices that are suitable for them. We recommend checking out 5 Tips to Help Seniors Keep Fit to get the most out of your purchase. In this post, we’ll be reviewing the best of these devices with the aim of helping seniors and their caregivers make well-informed buying decisions. What should you look for in a senior-friendly fitness tracker? Ease of use: A fitness tracker should be straightforward and easy to use. It shouldn’t take reading a 10-page manual before you can understand how it works. Seniors are weaker and get confused more easily than younger people, so if they would use tech devices at all, such devices must be easy to understand and use. Distance tracking: Any fitness tracker, especially one for seniors should be able to log your steps and distance over a workout. Higher-end fitness bands offer distance tracking over larger periods of times to assess your fitness progression. Calorie tracking: Many fitness bands will track the number of calories you burn to let you know the precise outcome of your workouts. Some fitness bands also have calorie intake and weight trackers. These allow you to record your food intake and weigh calories burned against calories eaten. Heart rate monitor: This allows you to gauge and control the intensity of your workout, and tells you when you need to relax. Sleep tracking: This allows you to monitor the length and quality of your sleep. This option is great for anyone looking to improve general fitness and physical health. Display size: Bigger displays provide easy navigation through the different functions of your fitness band. They also ensure that the user doesn’t have to stare too hard to read important details on the screen. Water resistance: A good fitness tracker should be waterproof to prevent damage by sweat and splashes of water. At best, it should be water resistant, especially if the wearer loves to swim or would like to wear it all the time — even when taking a shower. Adjustable band: Bands often have slats or another mechanism for adjusting comfortably to your wrist. Battery life: Some fitness trackers are more energy-efficient than others and can be used for longer without having to charge up or replace the batteries. A good fitness tracker for seniors should be able to deliver for at least 3 days after each full charge. 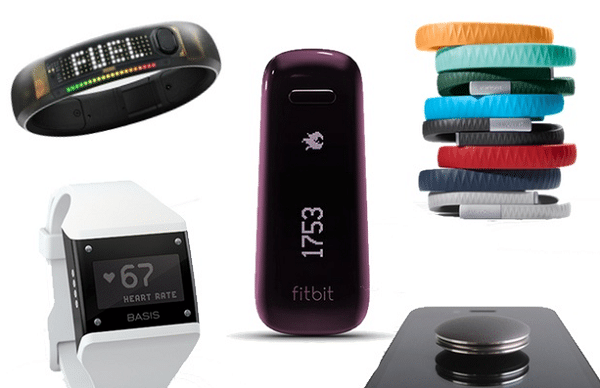 The market abounds with fitness trackers of different grades and by different brands. And making the right choice from the huge pack can be a head-scratching experience. But we’ve made things much easier for you by scouring the market for the best products and comparing them objectively to figure out the most senior-friendly ones. Here are our best five fitness and activity trackers for the elderly. The Fitbit Charge 2 is one of the bestselling fitness trackers at the moment — and that’s because it’s a feature-packed wearable device that comes at an affordable price. And more importantly, it’s quite suitable for seniors due its ease of use, simple design, and durability. In terms of design, the Fitbit 2 isn’t close to what you’d describe as awesome. But we’d say it’s just an easy to use pedometer for elderly. Firstly, it comes with a large screen that does not only accommodate more details, but also displays its characters boldly. With this, seniors won’t have to strain their eyes to see the details on the display. It’s worthy of note that the display isn’t the color type, but its touchscreen. Secondly, the device comes with a band that is thick, yet lightweight. You can wear it for several hours at stretch without feeling irritated, and you don’t have to take it off while doing some work. No problems if you wear it to bed! The band is easily swappable, so if there’s a need to swap bands, senior users can easily do that on their own without having to struggle or reach for the user manual. The Fitbit Charge 2 fitness tracker is water resistant but not waterproof. That is, it can handle a few splashes of water that get on it while you’re doing some washing and can tolerate sweat when you’re exercising. Nothing more! It can’t tolerate being dipped into water or used under the shower. So, if you’re looking for a device that can handle underwater use, kindly pass. The Fitbit Charge 2 comes with a tracking feature similar to most other devices by the same manufacturer. By default, the device will set you a goal of 10,000 steps a day. But for seniors, this can be reduced depending on the age and physical ability of the user. The tracking feature is “multi-sport”, so you can track various sporting activities that you engage in. Another fascinating aspect of the Fitbit Charge 2 is its ability to track your exercise automatically. So, for example, if you start running the device will detect this and start monitoring your activity and steps. You don’t have to start sessions manually. This is particularly a huge benefit for seniors, who have a higher tendency to forget things. The device also features the PurePulse heart rate tracking technology, which can accurately measure and monitor your heart rate without the need for a chest strap. Also included in the Fitbit Charge 2 is the Guide Breathing feature, which monitors your heart rate for about 30 seconds and then sets a breathing challenge for you. This feature can help you calm your heart rate whenever you need to. There’s also the sleep tracking feature, which monitors your sleeping patterns. But in our opinion, this feature isn’t so accurate because there are times when you’d feel that you had a sound sleep, yet the device would record the opposite. The Fitbit Charge 2 also comes with a silent alarm feature, which can wake you up from sleep by vibrating the device on your wrist. This feature is particularly useful for heavy sleepers, who can wake up easily without irritating anyone close by with alarm sounds. While the device can work independently, you can connect it to your phone via Bluetooth to receive call and SMS notifications or use GPS. So, with the device connected to your phone, you can know who is calling or who sent an SMS — but you can’t use the device to reply; you’ll need to reach for your phone. While it would have been cool to be able to receive calls with the device, knowing that you won’t miss out on important calls and text messages during exercise gives peace of mind. The Charge 2 will connect with any Android phone running Android 4.3 or above, any Windows 10 device, or iPhone 4S and above. The device syncs to your smartphone through the Fitbit app, which is available for free download for Android, Windows mobile, and iOS. With the app, you’ll be able to see day-by-day details and stats of your fitness level, how much activity you’ve done, and how much you should have done. The app is one of the simplest to understand and use. The Fitbit Charge 2 is powered by a rechargeable battery that delivers for over a little over three days after each full charge. And you could get more from the battery if you’re not constantly using the device. Whenever the battery is low, you’ll get a notification through the Fitbit app and via email. It takes around two hours to get a full charge. Although we have rated the Fitbit Charge 2 as the best fitness and activity tracker for seniors, we won’t pretend that it’s a perfect device. Of course, it comes with its own share of downsides. Aside the ones we already mentioned, the device doesn’t come with built-in GPS, but it can use the GPS feature in a connected phone. Packed with significant improvements over its predecessor, the Samsung Gear Fit2 is one of the best and most reliable fitness trackers available at the moment. And more importantly, seniors who enjoy tech innovations will no doubt be impressed by the device. Aesthetically, the Gear Fit2 looks cool, but it’s not necessarily designed to be an attention magnet. At first glance, you’d see a rubberized band that latches on to both sides of the display, and two buttons on the side that supplement the touchscreen functionality. The screen is curved to conform well to the wrist. The device sports an elongated rectangular display that offers a lot of real estate — so, you can see a lot of details at a go, rendered in big and bold characters. This would make life much easier for seniors, especially those with sight issues. The 1.5-inch touchscreen display is made of Super AMOLED and has a pixel density of 322ppi. To us, that’s staggering! All these explain why the Gear Fit2’s display is bold, sharp, colorful, and easy to read. The curved screen of the Gear Fit2 is taped with a frosted metal trim and covered at the back with water-resistant plastic that protects it against sweat and water. On the side of the device lie two buttons — one for the powering the device on/off and bringing up the setting menu, and the other for navigating the menu. The power button can also be double-tapped to execute a task. Attached to the device body is a silicone band that feels good to touch and comfortable. This band is available in a variety of colors. So, if you like flaunting your device in different shades, you can simply buy additional replacement bands of any colors you prefer. The Samsung Gear Fit2 features a dual-core Exynos 3250 microprocessor clocked at 1.6 GHz. It also packs 512MB of RAM and 4GB ROM. In all these aspects, the device spanks its predecessor, the Samsung Gear Fit, which came with 8MB RAM and 16MB of ROM. The device isn’t powered by Android or iOS, but by Tizen, Samsung’s own operating system. However, this doesn’t result in some annoying exclusivity with regards to phones the device can work with. It can work perfectly with any smartphone running Android 4.4 and above and iOs 9 and above. Getting the best from the Gear Fit2 requires two cool apps — the Samsung Gear app to help with setup and updates, and the S Health to handle the details of fitness metrics. One of the device’s biggest selling points is that you can still get the very best from it without ever connecting it with a smartphone. So, without any syncing, you can still get to read your daily fitness metrics in a timeline format and see the intensity of your activities during the day. And you can catch a detailed glimpse into how well you’re doing in the area of fitness. But we still won’t deny the fact that the experience is more robust when you connect the Gear Fit2 with a smartphone. For example, with your phone connected, the device will show notifications of calls, SMS, email, chats, and so on. And more importantly, it allows you to take some limited action such as archive or delete emails, or even reply them with one of some preset basic responses. Each time you have a call, SMS, email or anything to be notified of, the device vibrates on your wrist. This can be pretty annoying, though, when you’re receiving too many notifications, in which case you can switch off the vibration effect. The Samsung Gear Fit packs all you need to get the best in terms of fitness. You can pause a workout by simply tapping the back button. This will come in handy whenever you need to take breaks during your exercise sessions. There’s also heart rate and sleep tracking features, and many others. In the aspect of accuracy, the device doesn’t perform badly at all, considering that there is no perfect device in this regard. The device also comes with built-in GPS functionality, which helps to measure the distance you’ve covered while running or engaging in other exercises that involve covering some distance. If you’re someone who loves to listen to music on the go, then you’d love the Gear Fit2. Aside that its 4GB on-board storage allows you to store your favorite music files, you can also listen to music by connecting a pair of wireless headphones. The Gear Fit2 runs on a 200mAh battery that can run for 3-4 days with constant use. That’s pretty cool considering the AMOLED color display, GPS functionality, and other features packed into the device. If you don’t use the GPS or connect the device to a smartphone, you’ll get even more from the battery, which is charged using the dock that comes with the device. The Garmin Vivosmart 3 is a feature-packed fitness tracker, yet it comes at an affordable price and sports a simplistic look. This explains why we’ve ranked it among the best activity trackers for elderly people. The Vivosmart 3 looks like the typical wristband fitness tracker, sporting a long screen within a thick band. The design isn’t awesome, but it’s simple and effective. And it’s a great choice for people who aren’t comfortable with having heads turning in the direction of their wrists. It’s barely noticeable. The strap can stretch to a nice extent and there are multiple buckle lock lengths. The device is waterproof, so you can wear it while swimming or taking a shower. It’s covered with a tough silicone casing that protects it against knocks. The screen is also rugged, so it won’t crack or break easily. The Garmin Vivosmart 3 sports an OLED display that offers plenty of brightness even in well-lit environments. With a resolution of 64 x 128 pixels and measuring 9.6 x 19.2mm, the display fits seamlessly into the strap, so you won’t find it hard to swap bands. Looking at the matt and tough finish on the display, you’d want to doubt its responsiveness, but the touchscreen works perfectly. To start or pause a workout with the Vivosmart 3, you only need to double-tap the screen. And to toggle between options you only need to swipe in the right direction. It doesn’t matter if you’re in the rain or under water; the device responds to touch perfectly. When it comes to tracking accuracy, the Vivosmart 3 is one of the best fitness trackers in that regard. Although it lacks GPS feature, it makes up for that deficit with a heart rate sensor, ambient light sensor, barometric altimeter, and accelerometer. It also comes packed with ANT+ Bluetooth Smart connectivity options. With the built-in sensors, you can easily track various metrics such as distance traveled, calories burned, sleep, and steps taken. The device goes a step ahead of others in this aspect by providing advanced metrics such ad strength reps, VO2 max, stress, score, floors climbed, and fitness age. One bid downside of the Vivosmart 3 is that it lacks built-in GPS feature. Worse, it can’t use the GPs feature on a connected phone. But to cover up for this, the device has a fairly accurate distance measuring feature, which estimates how far you’ve covered based on stride length. To increase the accuracy of this feature, set your stride length appropriately. Despite working independently of a chest strap, the heart rate monitoring feature in the Vivosmart 3 is accurate and can compete well with devices that pair with chest straps for enhanced accuracy. Another metric that sets this device ahead of the competition is its VO2 max metric, a measure of the quantity of oxygen in your body system. This metric is used to estimate your fitness age. The lower your fitness age figure compared with your actual age the better. While this isn’t a true score, it serves as a guide that tells how well you’re improving in terms of fitness. Another plus for the Vivosmart 3 is the stress score, which is estimated based on your heart rate. When the device detects a high stress score, it means you’re stressed up and you should try some relaxation exercises. The device also packs a sleep tracking feature, which activates itself automatically, just like the activity tracking feature. When compared with most other fitness trackers, the Vivosmart 3’s sleep tracking feature is far more accurate — thanks to the multiple movement sensors loaded into the device. Once you have a Bluetooth enabled phone that runs iOs, Android or Windows 10 Mobile, you’re able to enjoy the full benefits of the Garmin Connect app. The Connect platform is cloud-based, so you can also check your tracked metrics through a browser. The Garmin Vivosmart 3 is powered by a rechargeable battery that lasts 5 to 6 days after each full charge. You can use it for longer, depending on constancy of use. The sweetest thing about the battery is that it charges very fast. Under one hour, you can get a full charge. The Fitbit Blaze, its manufacturer’s first attempt to hit the smartwatch market, is another fitness tracker that seniors would love. Since it comes in the shape of the typical wristwatch, it would be preferred by seniors who see the wristband alternatives as awkward additional load on their wrists. And since most seniors are used to wearing wristwatches, they’ll get used to wearing this device faster than they would the wristband alternatives. The Fitbit Blaze sports a color LCD display, which is bright, crisp, and large — a huge advantage for senior users. But some users might have some issues with this display. Aside that it’s square-shaped rather than round, there are large bezels around the sides, without which the display could have been larger. 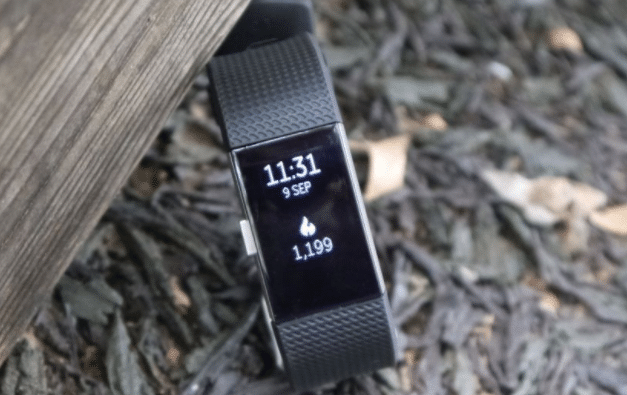 Nonetheless, the display size trumps that of any other fitness tracking device by Fitbit. The device fits comfortably on the wrist, so it can be worn for long hours at a stretch without causing the user any inconveniences. And it looks smart and beautiful on the wrist, but some users may find it a bit too large. On the left side of the device lies a button that plays two roles: home and back. And on the right side lie two buttons for music volume control and selection of exercise options (which can also be done on the touchscreen). There are no other buttons on the device; all other features are controlled via the touchscreen. The main watch part of the device can be easily popped out and fixed into another band and frame. For seniors, this is another advantage, since there’s no need to struggle endlessly or watch YouTube videos just to remove the watch body. But moving the watch body from one band to another can be somewhat confusing. Because it fits into the frame either way up, you can easily put the wrong way up without realizing until after wearing the watch. Whenever that happens, it can be a bit frustrating. The Fitbit Blaze runs custom software built by the manufacturer. So, there are limits to what it can do, and you really cannot enhance it by downloading custom designed apps from the respective app stores. But nonetheless, this software perfectly provides all the primary benefits you would expect from it. By swiping left on the screen, you’ll see the pre-loaded apps. Top on the list is the Today feature, which shows the number of steps you’ve walked, your heart rate, your resting beat, number of miles you’ve walked, estimated amount of calories you’ve burned, and flights of stairs you’ve climbed throughout the day. You can sync the watch with the app on your phone to see more details of your activity stats and how they compare with those of previous days. Next on the list is the Exercise feature, which is arguably the most important feature offered by the device. This feature helps you monitor various exercises such as running, biking, workouts, elliptical, weight lifting. During any of these exercises, you can easily monitor the time as well as your heart rate by glancing at the screen. Another quite feature of the Fitbit Blaze is Fitstar, which plays the role of a workout coach. It suggests how you should workout and for how long. It also tracks how well you’ve done at a specific exercise. In addition to being a fitness and activity tracker, the Fitbit Blaze works perfectly as a sleep tracker. At the end of each day, it automatically starts to monitor your inactivity and note your restlessness on a minute-by-minute basis. While the automatic sleep tracking feature usually initiates itself at the right time, the sleep monitoring aspect isn’t always accurate. The device also comes with a silent alarm (vibration) feature that allows you to wake up at any time you like without disturbing others with some pesky alarm sound. It also comes with a notifications feature that works when your phone is connected. You’ll get on-screen notifications for calls, SMS and calendar. Don’t expect notifications from third-party apps like Whatsapp, though. The Fitbit Blaze is powered by a rechargeable battery that lasts for five days after each full charge. That’s quite impressive for a smartwatch that sports a color display. It can even last longer with less-than-constant use. One downside of the battery, however, is that it takes at least three hours to get a full charge. In all, the Fitbit Blaze is a great fitness tracking device that seniors would find very easy to use. The Huawei Fit is a simplistic activity and fitness tracking smartwatch that looks and feels like a perfectly made device. Moreover, its low-profile look, ease of use and other features make it one of the most suitable fitness trackers for seniors who want a low-profile wearable tracker that can monitor a good number of health-boosting activities. Plus, it can blend into any wardrobe like a typical watch. Measuring 39.5 x 9.99mm and weighing less than 35 grams, the device has no buttons. All features are controlled via the responsive touchscreen. The display is 1.04-inch wide diagonally and is based on low-energy Memory LCD technology. Resolution is low, but the backlight is bright enough for displayed characters to be seen in any light condition. The display is large enough and it displays characters boldly — an advantage for most seniors, since they tend to have sight issues. The Huawei Fit comes with a sport band that is made of plastic, and the casing of the watch body is made of matt-coated aluminum alloy. The scratch-proof display is made of Gorilla Glass 3 — the same grade of glass employed in the display of many high-end Android smartphones. The Huawei Fit is meant to be worn 24/7 and its build is comfortable enough to make this possible. Interestingly, you don’t have to remove it when you’re going to take a shower because it’s waterproof, which means you can wear it while swimming without having issues. According to the manufacturer, it’s waterproof up to 5 atmospheres of pressure. It’s therefore no surprise that the device has underwater workout options. In addition to tracking your various exercise activities and sleep, the device also monitors your body oxygen levels and warns you against anaerobic training whenever your oxygen levels are low. This will go a long way in preventing lots of emergencies that happen during workouts. The Huawei Fit allows activity tracking to be paused in the middle of workout. So, if you have any reason to take a break during workout, you can stop the device from tracking during the interval. This will make for more accurate tracking results and stats. This is one of the features that stands the device out from the competition. Unfortunately though, the device lacks the ability to start tracking activity automatically. The device isn’t different from any other touchscreen device. Tap to select an option, and swipe to toggle between option fields and layers. The device also responds to gestures — thanks to the built-in gyroscope and accelerometer. To navigate up or down, just flick your wrist to the right or left. This comes in handy during workouts when you don’t want to touch the screen with sweaty or dirty fingers. The Huawei Fit comes with a dedicated firmware, which works seamlessly with its companion app, Huawei Wear. The app allows you to connect your data to other fitness trackers such as Google Fit, MyFitnessPal, and Jawbone UP. By way of the app, you can receive notifications for calls, SMS, and Whatsapp. Note, however, that these notifications are not set up by default, so you have to set them up yourself. One of the most fascinating aspects of the Huawei Fit is the battery, which can last up to six days with constant use and with all its sensors engaged. But with lighter use, the 80mAh battery can last even longer. If you don’t use the device at all after a full charge, the device will remain powered in standby mode for 30 days. Now, that’s impressive! And in addition, the battery charges fully within 45 minutes. While we hope that you won’t go wrong with any of the options featured in this review, we believe that some of the options are more suitable for certain individuals than others. But rest assured, we bought all of these and this is our shortlist for the best fitness tracker for seniors. For example, if you want a feature-packed fitness tracker with a simple display and durability, our top pick, the Fitbit Charge 2 would be your best bet. If you’re a fan of tech devices that go overboard to impress or you want a fitness tracker that can work perfectly on its own without the need to connect to it to a smartphone, then consider the Samsung Gear Fit2. If you love swimming and would like to hit the pool with your fitness tracker on your wrist, you’d be fine with either the Garmin Vivosmart 3 or Samsung Gear Fit2. And if you think wristbands feel awkward on you and would prefer a watch-like tracker, then you’d be fine with the Fitbit Blaze or the Huawei Fit.